We can go through a lot of snacks at our house! Instead of opting for prepackaged (and not so healthy) versions, I try to provide healthy snacks for my family that are also tasty and kid-approved. 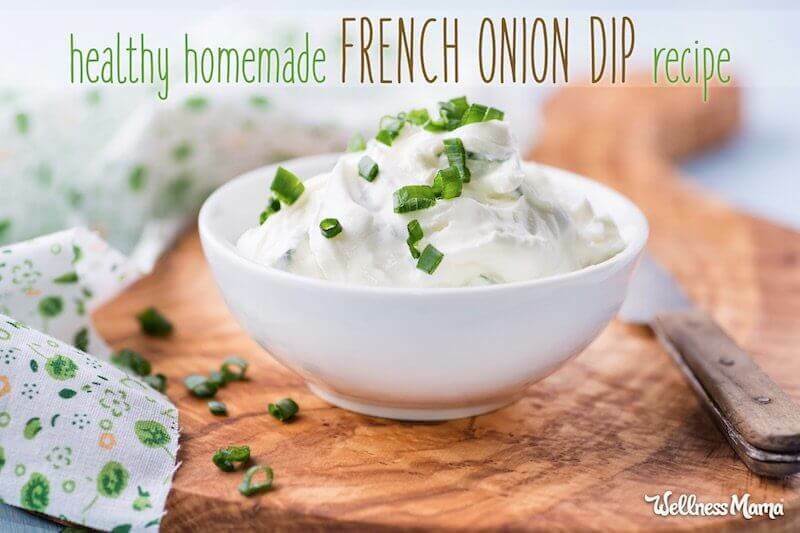 This healthy homemade French onion dip is another one to add to the snack list. It’s great for kids and company (or even a midnight snack). In high school I fell in love with the flavor of French onion soup. I hadn’t had it before since onions were banned in our house (my dad hated even the smell). 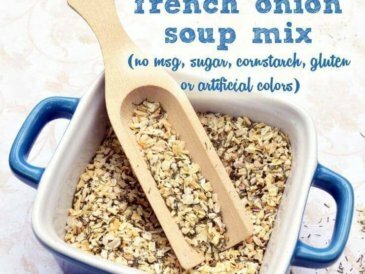 Since then we’ve switched to real food and I now make my own French onion soup mix. French onion dip is another way to get the onion-y flavors I crave. We don’t eat a lot of potato chips around here since most of them are made with unhealthy vegetable oils like canola and soy. However, there are some brands that use avocado oil or coconut oil for a healthier version of the potato chip. Here are some other potato chip alternatives to enjoy with this French onion dip. Hint: They don’t all have to be chips! French onion dip doesn’t just have to be a dip either. The creamy, salty flavor also makes a good topping for tacos, or stirred into mashed potatoes. (We like these creamy garlic mashed cauliflower “potatoes.”) When prepared right it tastes like the real thing, but without so much starch and even more nutrition. French onion dip would also make a flavorful topping for these Tex-Mex lettuce tacos, or even an easy vegetable frittata. This classic dip gets a healthy update that highlights the simple yet delicious flavors of garlic and onion. Melt the butter or coconut oil in a small skillet on the stove. Saute the minced shallot and garlic in the butter over low heat for a few minutes, stirring frequently. They should be golden brown and translucent. Put the sour cream in a medium size bowl. Add the salt, pepper, onion powder, and cooled shallot mixture to the sour cream and stir well to combine. 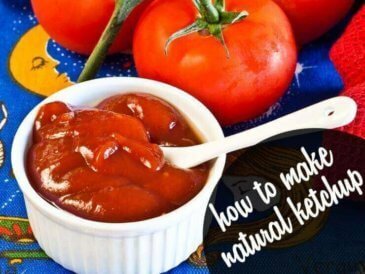 The dip can be eaten right away, or chilled in the refrigerator first. Store the French onion dip in the refrigerator for a few hours or overnight before eating. This helps to really combine the flavors for a more intense flavor. 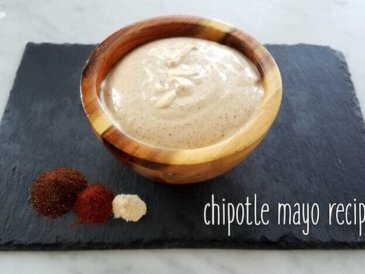 Looking for More Easy Dip Recipes? 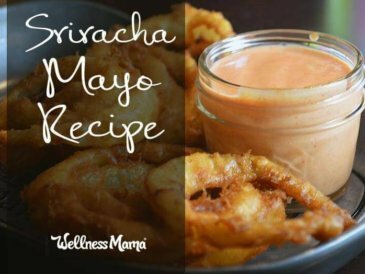 It seems like vegetables and other dishes disappear more easily around here when there’s a fun and flavorful sauce to dip it in. And for days when company is coming over, it helps to have several appetizers to munch on. Smoked Salmon Dip Recipe – This dip combines protein, veggies, and healthy fat into one delicious dish. It’s an easy recipe for the kids to help out with too. 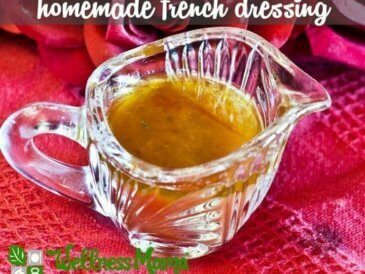 Healthy Real-Food Ranch Dressing – Almost everything tastes better with a little ranch dressing. 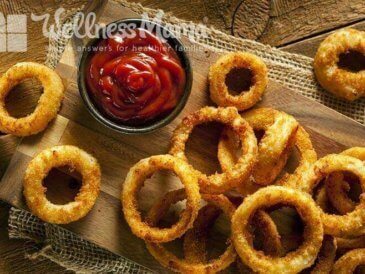 This version skips the unhealthy ingredients like MSG and soybean oil for a tasty real food version. It’s great as a veggie dip, over salad, or even with potato or meat dishes. Easy Guacamole Recipe – Avocados are packed with healthy fats and they add a creamy base to foods. This guacamole recipe really couldn’t be any easier and features tasty salsa. Use it for tacos, salads. and more! 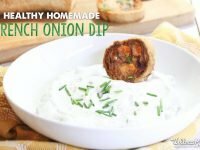 Do you like French onion dip? What do you like to dip in it?